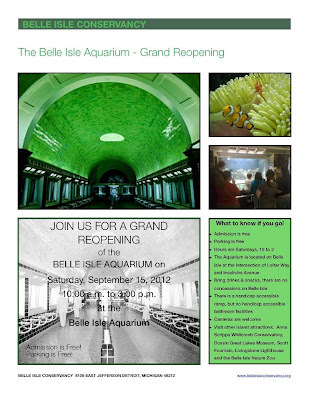 Damn Arbor: Belle Isle Aquarium reopening this weekend! 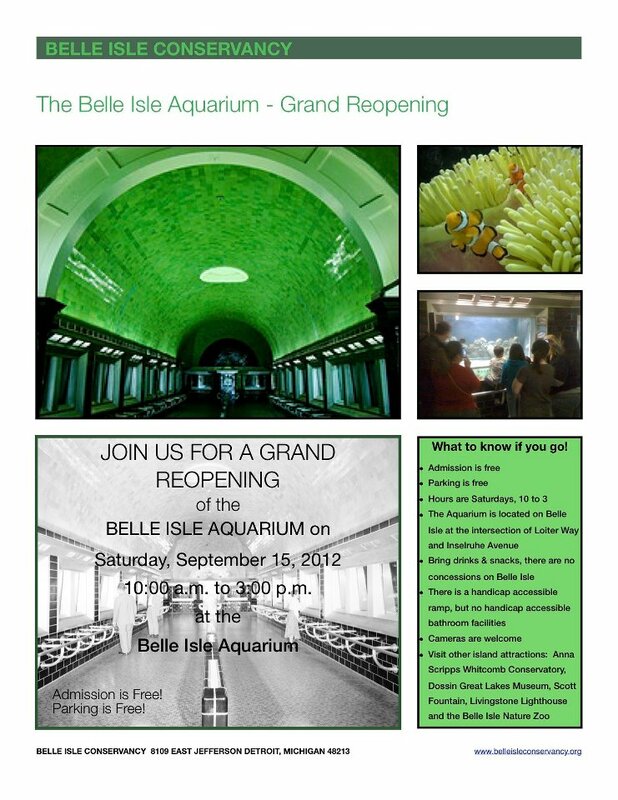 Belle Isle Aquarium reopening this weekend! This is really exciting! Should be a fun day on Belle Isle. I was there for the "last day" several years ago... very happy to see it open again. While it may not be huge and shiny like other aquariums, it has that Detroit edge and charm that cannot be found elsewhere. I'll be down in that area for Tour de Troit on Saturday.. maybe I'll swing by afterwards? I went to it back in February when they were having sort of a showing. It was pretty cool. Awesome pictures. Thanks for sharing the link.